Shane Watson could best be described as an enigma of modern day cricket. The stats read like a glittering report card, but did he get an ‘A’ when he had so much potential to get an ‘A+’ – or is that marking too hard? At 34 years of age, Watson has announced his retirement from Test cricket – the form of the game all cricketers view as the ‘brass ring’ of the sport. “I wasn’t performing how I know I could have. 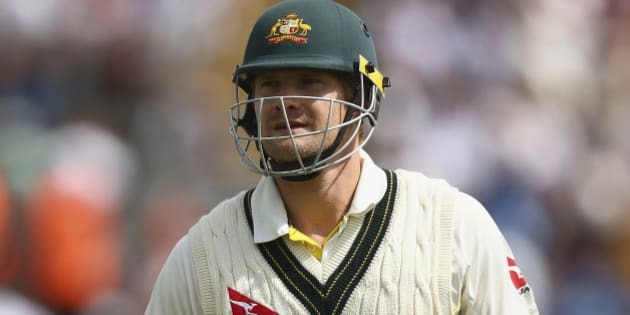 Knowing what it takes for me to be at my best for Test cricket - that spirit just isn’t there anymore.” Watson told Fox Sports News. His impressive stats have been rolled out – 59 Tests, 75 wickets, 5 Ashes series, over 3700 runs and the list goes on. But behind the numbers, former team mates, cricket fans and analysts alike will debate what Watson's contribution has been and what he will best be remembered for. In a career that was notable as much for its continual interruption through injury and inexplicable inability to avoid an LBW dismissal, as it was for its brilliant batting displays, Shane Watson has spent the last decade riding a wave of scrutiny. Watson said that it’s been an emotional decision but one he knew it was time to make. “To tell my team mates was difficult. And that’s probably been the hardest time and the most emotional time, telling my team mates.” he said. For the Australian cricket team, this is another loss of experience on the heels of the recent retirements of Clarke and Rogers. the team that the other two might. Watson says he will continue in the shorter forms of the game and so it will be interesting to watch his approach to these. With the pressure off for Test selection, and form worries at that level now gone, Watson may feel a freedom that sees the runs flow across the Australian summer and reminds the cricketing public what this man is capable of and that there was a reason he won consecutive Allan Border medals in 2010 and 2011. Of course he’ll need to get past the latest in a long list of injuries, returning to Australia this week from the England tour, for treatment on a calf injury.